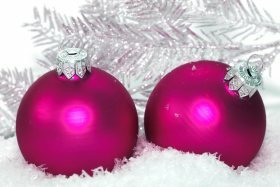 Christmas is coming and we would like to inform you that our company will be closed from 22nd December 2012 to 1st January 2013.
terraces Grenadeck and fences Grenafence – Mrs Faflíková (+420 606 677 582). We will be fully available on 2nd January 2013 for you in our company. If we have free manufacturing capacity and required material available, we will be happy to fulfil even your later orders. Thank you for understanding and we are looking forward to your early orders. The kitchen doors ordered after the introduced terms will be delivered from the second week of 2013 according to the days of delivery. Complaints (orders R) will be sorted out individually thus contact the business department, Mrs Eva Chalašová on phone: +420 381 549 123, e-mail: obchod1 @ grena.cz or mobile: +420 724 110 739. We wish you a beautiful advent time.